Demarcation of the Caspian Sea has been one of the longest lasting casualties of the disintegration of the Union of Soviet Socialist Republics. The Soviet collapse invalidated the 1940 Irano-Soviet treaty that had demarcated the rights of both countries regarding the Caspian Sea. Thus, after 1991, five territories became littoral states of the Caspian Sea, necessitating clarification of its legal status so that they could exploit and demarcate it among themselves. The fact that this agreement has now been signed is a positive, albeit incomplete, step. Since the Caspian is an inland sea, it also had to be decided whether it fell under the category of a sea or of a lake (an inland body of water), two wholly different categories and statuses in international law. These distinctions are not academic. If it is a sea, then all the littoral states could use it freely beyond the international limits of their waters as defined by the UN Commission on the Law of the Sea (UNCLOS). But if it is a lake, then nobody can use it unless all the littoral states approve. 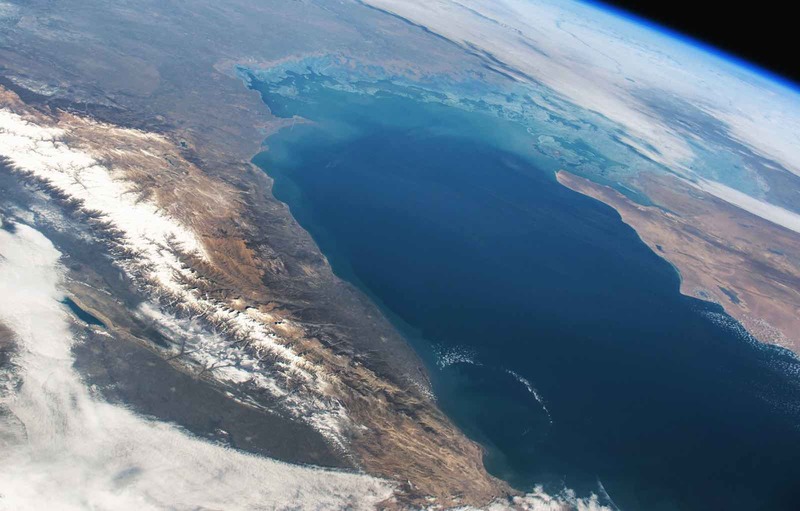 That has been the core question in demarcating the sea, because Iran and Russia defined it as a lake until Russia wanted to explore for oil and gas off its coast. This thereby prevented Azerbaijan, Turkmenistan, and Kazakhstan from doing anything in the Caspian beyond their UNCLOS-approved limits. In particular, it stopped them building a trans-Caspian pipeline that would connect to pipelines bringing oil and/or gas to Europe. That projected gas pipeline to Europe is the so-called Trans-Caspian Gas Pipeline, or Southern Gas Corridor (SGC), which the European Union and Washington have vainly striven, along with Kazakhstan and Turkmenistan, to achieve until now. However, Iran’s obstruction finally wore on the other littoral states, and the five of them have negotiated a new, albeit unpublished, convention that, in a significant step forward, now demarcates the Caspian’s legal status. But it also reflects the abiding tensions in the Caspian basin. Close examination of this accord reflects a big win for Russia, minor gains or frustration for Iran, and some satisfaction for the other three states. Russia and Iran gain from the outright prohibition on non-littoral states (i.e. NATO) being able to deploy ships or foreign troops in the Caspian, although there actually is little practical chance of this occurring. As for demarcation of the Caspian and energy issues there, the five parties agreed that they each control the territory for 15 nautical miles from their shores for mineral and energy exploration, and another 10 miles for fishing, given the rich sturgeon stocks that make fishing a valuable practice in that sea. The remaining areas will be shared jointly, pending further negotiations. The delineation of the mineral-rich seabed was also left for future negotiations. The parties created a new, undisclosed legal status for the Caspian that makes it a kind of special, though as yet undefined, sea. So while this agreement only partially resolves the Caspian’s disputed questions, it nevertheless clearly represents progress. This accord now makes it possible for countries to construct pipelines, provided they comply with very strict environmental standards that have been frequently used to obstruct such pipelines. So while Turkmenistan and/or Kazakhstan may now build a pipeline to Azerbaijan, it is by no means certain that Russia will not use the environmental condition to block it. Still, the construction of this pipeline now becomes legally possible. However, any expectation of a rush to construct the SGC would be misconceived and premature. First, there are two main disputes over territory of energy facilities to be solved. The Irano-Azeri dispute over the Araz-Alov-Sharg field and the Azeri-Turkmen dispute over the Serdar/Kapaz field. Pending resolution of these issues, progress in developing them is unlikely to be fast. Second, and perhaps more importantly, current gas economics work against any move to build a pipeline from Turkmenistan, which would in any case only find demand in Europe, not Azerbaijan or Turkey. Since that gas has to travel the entire route under the existing South Caucasus, Trans-Anatolian Natural Gas Pipeline (TANAP), and Trans-Adriatic Pipeline (TAP) before finding a market, its cost by the time it reaches Europe would exceed $300/Mcm, way above current prices. The third problem is that Iran is clearly, and not surprisingly, dissatisfied. Deputy Foreign Minister Grigory Karasin essentially admitted that Moscow made side deals with the other parties at Iran’s expense, so Iran did not get the 20% of the coastline it claimed (although it did receive a security guarantee). Consequently, there is considerable anger over this treaty in Iran. But the accord reflects that Iran’s current economic and political options are severely circumscribed and it is in no position to obstruct or dictate to the other littoral states. Yet even with these caveats and the still unresolved issues of considerable importance to all the littoral states, the fact that this agreement has now been signed is a positive, albeit incomplete, step. It shows they can reach agreements that benefit, however unequally, all the players. This offers new possibilities for future cooperation in an important part of the world. Given present international conditions, things could have been much worse.